Is it possible to share a post on Facebook without it randomly selecting an image from some other video on the Sift for the preview image? Because that's exactly what happens to me, no matter how I go about trying to share from here to Facebook: random image, every time. It makes sharing any VideoSift content basically impossible. Is this considered blocked or dead on VS even though the video works fine. IIRC, we considered it dead? YouTube Previewing Videos on Hover? I just discovered by accident that when you hover your mouse over YouTube embeds they're apparently now stepping through thumbnails from the video so you can preview pieces of the thing before you ever actually click it! That's a wonderful development. Has anyone else seen this or heard an announcement about this? Is this common knowledge? We are now secure! Any page requests for http://VideoSift.com will now be redirected to https://VideoSift.com. It took a lot of effort to go through as many of our templates as I could find where http:// was hard-coded into a URL and fix those, but there may still be some outstanding. If there is any such insecure content embedded on the page it will generate a "mixed-content" warning in your browser's console and the "Secure" padlock in your browser will look broken (or something). Also, you may also be able to identify non-secure images and embeds (like videos) because they will fail to load. Mostly reported spams and not much talks. Come on, people. SIFT TALK. tried to *talk it over here, and again nothing. http://videosift.com/video/Cavs-80s-Hardwood-Classics-Intro-duction as an example. As you can see, the video is not showing up. How do I gets its embed code to show it? 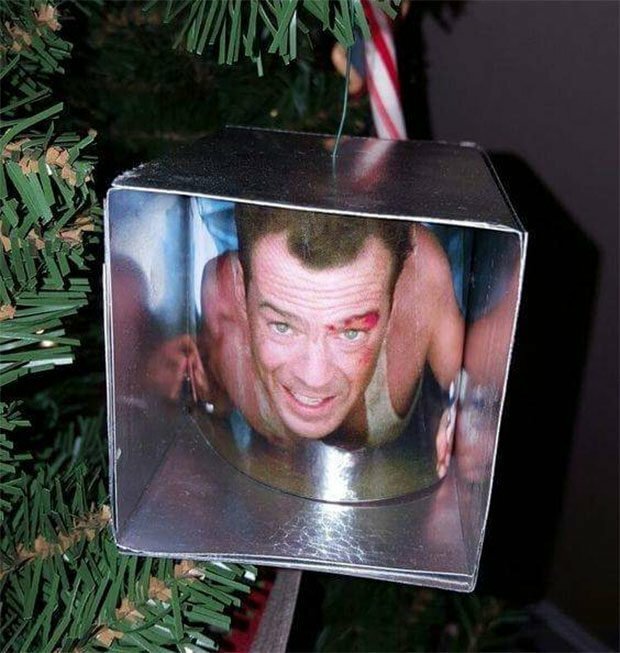 Do you consider the film Die Hard a Christmas movie? So ive recently heard debates regarding Die Hard being a Christmas film, and was wondering what you all thought. Also curious if age has anything to do with it. https://www.facebook.com/BlueManGroupFans/videos/1344294808937809/ doesn't have an embed code? Who do you blame for the election results? A total of 17 votes have been cast on this poll. The blame cannons are firing wildly. Where would you aim them....if anywhere? Who should be the next President of the United States of America (USA)? It's election time for Americans again. @eric3579 is a community manager. Sure, he might say he’s not - and maybe he even decided not to be an “official” one here on VideoSift, but he is just the same. He has all of the qualities of a good online community manager - he sees the humans behind the avatars, treats people with sensitivity and respect and most of all gives a damn about what happens in the community. I’ve come to value what Eric has to say, as I know he’s got his ear to the ground of the community. In many ways I’d say he knows VideoSift better than I do. Thanks Eric, for all of your contributions over the years, for being you and helping us make VideoSift what it is - happy to call you a friend and colleague-in-sift. Happy Galaxy! Come one, come all, come coax Eric3579 into finally getting GALAXY!!!! Mr Eric has the highest vote per video average than any large presence on the Sift. That happens in part because he keeps killing videos that don't perform well. Friends of Mr Eric -- and I know you are legion -- please come coax him into the World of Galaxy. I'm doing this sift talk for selfish reasons -- I want to hear Dag's song! I want to see his personal badge. And I want to celebrate Mr Sift himself. He was the first person who talked to me on the sift 10 years ago, and he gave me so much support. I have watched him do the same for others. Thanks for being my Sift Buddy all these years, Eric. Browser Opera is offering a free vpn that will give you a location from one of five countries. No more videos being blocked because you are from Canada or other places. Do you remember submitting your own videos to VS? A total of 5 votes have been cast on this poll. In my http://videosift.com/video/POKEMON-GO-FAST-FACTS-Pokemon-Training-in-the-Real-World submission, I had to omit the capitalized accented E due to "Invalid Entry" error for "POKÉMON GO FAST FACTS! | Pokémon Training in the Real World". However, it did let me have it with capitalized plain (no accent) in "POKEMON GO FAST FACTS! | Pokémon Training in the Real World". So if VS didn't like the accent, then why let me use it in lowercased "e"? A bug? Thank you all so much... for your inclusion, encouragements, suggestions, and upvotes. I hit my 10 year anniversary here yesterday, and finally got my 25th Star Point today, finally stopping Sifty (siftie) from halting 90% of my invocations. I've gone through so much during this time, such as the birth of two of my daughters, two heart transplants for my first daughter (and her subsequent death), the purchase and foreclosure of my first house and finally throwing in the towel at my career of being an Architect (I get paid more by being a drafter, anyways...and less stress and getting paid for overtime). Anyways, you people have been there for me for a long time, though you may not have realized it. I have missed those whom have moved on, like Farhad2000, KnivesOut, and even Choggie (at times..in his reincarnation)...but I appreciate all of you in this community of freaks. Huzzah!